We design each session during theCURVYcon to feature body positive tastemakers, designers, brand executives, bloggers, youtubers and more. They’re ready to answer your questions and share their expertise on Style, Workouts, Fashion and everything in between. When we invite them to do a style demo, lead a workout session or speak on a topic, they become a resource just for you. Have you noticed that most of your favorite plus size brands are only available online? Would you like to touch and try on clothes before you buy them? 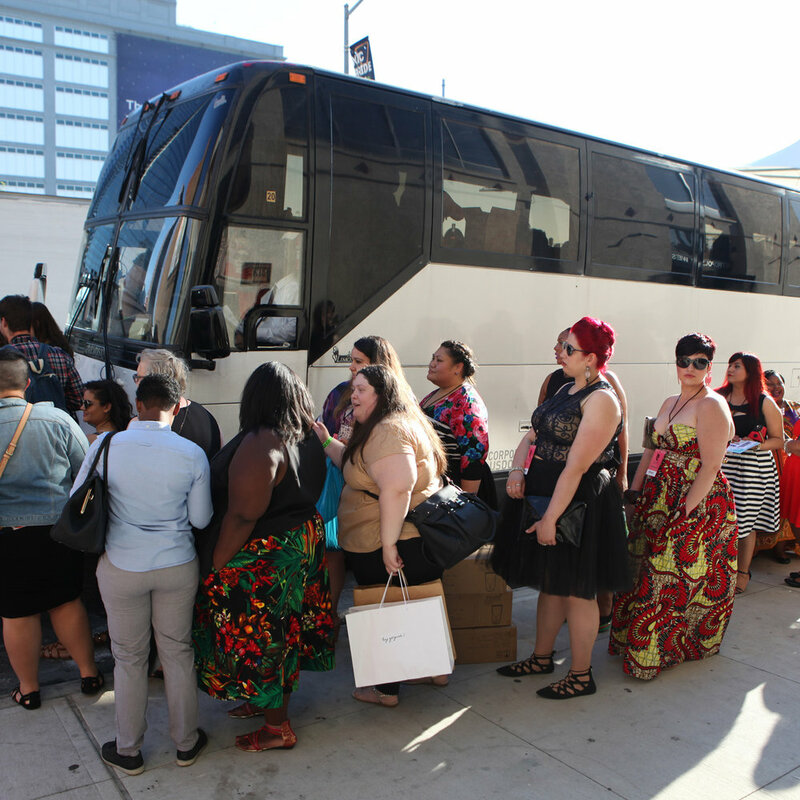 Well, we created theCURVYcon pop up shop just for you! We bring the best plus size brands and designers together for a massive plus size shopping experience (with dressing rooms! ).